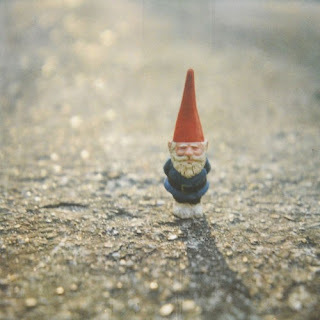 I love gnomes...They're just so adorable for some reason. I've never stolen one, but can see why a person would be tempted. Hahahaha, sounds like fun! I also quite liked high school, and I liked middle school even more. I know this is psychotic but they were, on the whole, very pleasant years. The gnome in that picture is so cute I understand why you decided to participate in stealing one :P. Girl Saves Boy looks pretty good too, I'll check it out! Too funny! I'm with you--I would sit around doing not much to this day without someone pulling me along but I do love to have a good time and be silly once I get started! For the record, though, gnomes are not ugly. I have one in my herb garden that I love. I think it's been with me longer than I've been married. Carol: Good point. Most gnomes aren't ugly. The one I picked up WAS, unfortunately. It didn't have a proper beard, and the paint job was pretty terrible. I've come to appreciate them - my dad even has one his yard now!